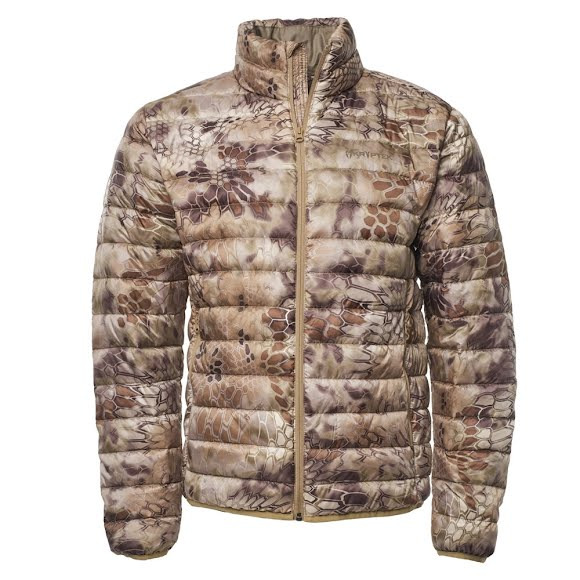 Kryptek Apparel's Cirius provides backcountry hunters with a packable insulation layer for added warmth during long periods of stationary activities. These New down jackets use Kryptek Defender down insulation which specifically design to provide lightweight exceptional warmth even in damp conditions. They even packs into their own pocket for easy storage. Kryptek Apparel &apos;s Cirius provides backcountry hunters with a packable insulation layer for added warmth during long periods of stationary activities. These New down jackets use Kryptek Defender down insulation which specifically design to provide lightweight exceptional warmth even in damp conditions. They even packs into their own pocket for easy storage.